Public Statement of the Archbishop of Tuam, Most Rev. Dr. Michael Neary, with regard to the claims and works of Mrs. Christina Gallagher and the ‘House of Prayer’ at Achill, Co. Mayo. In June of 1996 I constituted a Special Committee of Enquiry for the purpose of carrying out an investigation into the claims and work of Mrs. Christina Gallagher, resident at the ‘House of Prayer, Achill Sound, Achill, Co. Mayo in this archdiocese. The Committee, composed of two priests and a religious sister, has recently submitted its report. In the light of this report, and after due reflection and consultation, I wish to make the observations and announce the provisions listed below. I have had submitted to me no evidence which would give cause for questioning the integrity, good will, sincerity of spiritual devotion or orthodoxy of faith either of Mrs. Christina Gallagher or of her collaborators in the work termed ‘The House of Prayer’ at Achill. Further to the above, it appears that there is a great deal in the same work which is wholesome and good and which has been a force for good in the faith, prayer and lives of many people who have, in whatever manner, been associated or otherwise in contact with it. While recognising the difficulty involved in treating such matters, I find myself obliged to state that no evidence has been presented which might prove beyond reasonable doubt the occurrence of supernatural phenomena of whatever kind in this situation other than that of faith. Mrs. Gallagher and her associates retain, of course, the right to believe and state their belief that such have indeed occurred and continue to occur. The question, as far as competent ecclesiastical authority is concerned, remains open and unproven. My chief concern at this point is that the work termed ‘The House of Prayer’ be integrated into the life of Achill parish, of this Archdiocese and of the Church in general in a more stable and ordered manner than has heretofore been the case. I am also concerned that it should be helped to adhere more closely to the original understanding, which obtained with both my predecessor, Archbishop Cassidy, and Mrs. Gallagher, of what it would in fact be and strive to achieve. To these ends I am to make certain provisions, summarised below, in its regard. By Agreement with Mrs. Christina Gallagher and her associates, the work termed ‘The House of Prayer’, located in premises of the same name at Achill Sound, Achill, Co. Mayo, is to take the form of a Private Association of the Christian Faithful. Such associations consist of persons who freely choose to collaborate in a particular kind of apostolate or in pursuit generally of some end related to the Church’s mission in the world. They exist and operate in conformity with canon law which expressly envisions and provides for them. This new Private Association will be erected in a lawful manner and will, in continuing conformity with canon law, draw up governing statutes and submit them to me as diocesan bishop for approval. The same statutes will include, as in canonically required, a clear and unambiguous statement of the ends which the Association intends to pursue and the means to be employed towards these ends. Chief among the statutory ends, in the case of the ‘House of Prayer’ at Achill, will be the adoration of the Blessed Sacrament, the recitation of the Rosary and the provision and proper maintenance of a place of spiritual retreat for priests. These ends are those originally agreed upon by my predecessor, Archbishop Cassidy, and Mrs. Gallagher and I observe that the clarity of this agreement may have become somewhat obscured during the intervening years. As is required by canon law, the new Association will be subject to my authority as diocesan bishop in all matters concerning the administration and disposition of funds either donated or left in bequests to it for pious causes. Furthermore, although such associations are normally free to administer their other goods and property as they see fit, subject to their statutes, it remains my duty to ensure that all such goods and property owned by such an association in my diocese are used for the statutory ends of the Association. In order to ensure that everyone involved is allowed to discharge their proper duties in these matters the Association will be required to consult regularly with diocesan authorities and to submit accounts. The chapel which is located on the premises occupied by the ‘House of Prayer’ at Achill Sound is to be formally designated and established as a Private Chapel in the sense of this term as it is understood in canon law. As such, it may only be used for the celebration of Mass and other sacred celebrations subject to my permission and supervision in my capacity as diocesan bishop.  The Parish Priest of Achill will, ex officio, be Chaplain and the curate in Achill Sound will, by virtue of his appointment, be Assistant Chaplain. These two priests along will have faculties to preach and hear confessions in this chapel. Furthermore, no priest, other than these two, may celebrate the Mass in the Chapel without permission from me. Should the Association as such require a spiritual advisor, as distinct from the chaplain and assistant chaplain whose duties do not necessarily include such a service, its members are perfectly entitled by canon law to choose any priest from among those legitimately exercising ministry in the archdiocese, subject to my confirming such an appointment. The Association, finally, will have as its headquarters the premises presently occupied by the ‘House of Prayer’ at Achill Sound. The work of the Association will be carried on at this location and at no other within the territory of the Archdiocese. The same will be noted and confirmed in the statutes of the Association and will be strictly adhered to. I earnestly hope that the work of Mrs. Gallagher and her associates in the ‘House of Prayer’ at Achill will benefit from its new form and standing within this diocese. While the Church is obliged to exercise the greatest caution in approving such works it cannot ignore the possibilities presented by the dynamism which has characterised this particular one so far. I believe that it shows genuine potential for growth and for making a valuable contribution to the life of the Church. In this regard I look forward to working closely with the members of the new Association as they integrate their dedicated approach with that of the parish of Achill and of the Archdiocese of Tuam in general. I learned today, with considerable surprise, that Mrs. Christina Gallagher has decided to close the House of Prayer at Achill. This information was transmitted to my office by the local radio station to which Mrs. Gallagher had already made a statement of her intention. In the course of various statements made by Mrs. Gallagher on radio throughout the day, and in the course of the ensuing public discussion, a number of points have been made which I feel bound to address in an equally public manner. I wish to state clearly and emphatically that at no time have I ever instructed Mrs. Gallagher, either verbally or in writing, to take this step. On the contrary, I have repeatedly stated, both verbally and in writing, that it was not my intention to close the House of Prayer. This decision had been made by Mrs. Gallagher and if she has taken advice on the matter it was not requested of me or of my office. I have had occasion in the past to question, both privately and in conversation and correspondence with Mrs. Gallagher, whether she had indeed been well advised at various stages in her dealings with the Archdiocese. I repeatedly offered the services of a canon lawyer, in order to make absolutely certain that justice would be served, but this offer was not availed of. I remain unconvinced that she has ever, in this matter, had the benefit of advice which might be called sound in every relevant sense. My predecessor, to the record of whose earlier decisions in the matter Mrs. Gallagher has chosen to appeal, officially opened the House of Prayer in 1993. Dr. Cassidy explicitly and repeatedly stated at that time and afterwards that the House of Prayer was intended to be a place of quiet where the adoration of the Blessed Sacrament, the recitation of the Rosary and the provision of a place of retreat for some priests would be the only activities. Within a fortnight after the opening he found himself obliged to write to Mrs. Gallagher in protest against persistent deviation on the part of the House of Prayer from that original simple vision. This tendency to stray from the terms of which the Archbishop had permitted the House of Prayer to function was to continue. Instead of a quiet place of retreat a de facto shrine was coming into being, attracting large crowds of visitors weekly. In a letter to Mrs. Gallagher of 15th September, 1994, Dr. Cassidy criticised these developments again and refused permission, as requested by Mrs. Gallagher, for an extension of the actual premises. My own initiatives with regard to the House of Prayer are a matter of public record. My intention throughout was to facilitate a far greater degree of integration of the House of Prayer into the local church community and to encourage Mrs. Gallagher to proceed cautiously and wisely in the gradual development of her work. I believed and still believe that the measures which I adopted and the mode of development which I proposed would have guaranteed a future, perhaps a significant one, for Mrs. Gallagher’s work insofar as that work might have been inspired by God and for the good of the church. The model of existence and operation which I had hoped Mrs. Gallagher would adopt for her work was that of the Private Association of the Christian Faithful, the most basic and flexible model of association presently available in Canon Law. I was pleasantly surprised when, after months of delay and apparently fruitless correspondence, Mrs. Gallagher contacted me recently to tell me that she had set up such an association, as she had indeed a right to do. I was surprised further, however, to be informed in the same letter that not my approval but rather that of Rome would be requested for the statutes of the new association since this work was to be “of world-wide scope”. In my most recent letter to Mrs. Gallagher I was obliged to ask for clarification in the matter of Sunday Masses being allegedly celebrated in the House of Prayer in direct contravention of my express instructions in the matter. I found myself furthermore obliged to note in the same letter her tendency, persistent throughout my dealings with her, to misunderstand and misinterpret legitimate directives and to consequently misinform her associates and supporters. I am unsure as to whether this tendency resulted from genuine confusion or not bit I am quite certain of the clarity with which the directives in question were stated. My letter also contained a request for detailed accounts concerning any monies which might have been willed or otherwise donated for “pious causes” of whatever kind since the House of Prayer had been opened. This is an area which comes under the jurisdiction of any diocesan bishop but I had not addressed it previously, preferring to wait for the establishment of the Private Association and, with that, a more structured mode of supervision. It remains a legitimate matter of interest for my office and will be pursued in spite of the decision to close the House of Prayer. I regret very much that Mrs. Gallagher believes herself to have been put under undue pressure by what I considered, and still consider, to have been sensible and fair measures adopted for the good of all. In this context I repeat my already stated doubts as to the wisdom and quality generally of the advice she has been receiving. Whatever the merits of her remarkable claims, and time may eventually clarify this, I had hopes that her work might have been amenable to integration into the life of this diocese. That it has not proved so amenable can only be a cause for regret, since I believe that good spiritual works of every kind are desperately needed today. I recognise that many people benefited spiritually from the House of Prayer, however, and I urge them not to be in any way discouraged but rather to hold on to and build on the good they have received. I wish Mrs. Gallagher well and will pray that she finds happiness and peace. The Tuam Diocesan Office has recently received a considerable number of media enquiries regarding this matter. In 1996 I established a diocesan commission of enquiry to investigate certain claims regarding and emanating from this work. In 1997, acting on foot of a report from the commission, I issued a lengthy public statement to the effect, in essence, that no evidence of supernatural phenomena had been observed but that the persons involved gave every evidence of good faith. Arising from that, I proposed a basic canonical structure that would gradually integrate the work of the House into the life of Achill Parish and the Archdiocese. While this was then attempted by the Archdiocese, I became increasingly perturbed by an apparent absence of enthusiasm on the parts of Mrs Gallagher and her associates. The relationship deteriorated to the extent that Mrs. Gallagher, in July, 1998, closed the ‘House of Prayer’ at Achill, expressing to the media at the time a sense of having been harshly treated by the Archdiocese. In order to clarify the issue for the faithful I issued another statement, regretting the development and expressing grave misgivings as to the wisdom with which Mrs Gallagher had been advised and had acted in the matter. Diocesan efforts to integrate this work ended in July, 1998 when it was closed by Mrs. Gallagher. Celebration of the sacraments and reservation of the Blessed Sacrament at the ‘House of Prayer’ are not permitted. Any work carried on since then has been entirely of a private nature and has no Church approval whatever. Neither, for reasons given above, does such work enjoy the confidence of the Diocesan authorities. Nothing has been brought to my attention to indicate that I should change from this position in the future. Over the years since then, the Tuam Diocesan Office has clearly and consistently replied to enquiries in respect of this work, which Mrs. Gallagher recommenced. I respect the faith and devotion of many people who have been impressed by this work in the past, some of whom have expressed their sadness at my stance. Finally, I wish toremind all Church members that they should not hesitate to enquire, as a matter of course, at local diocesan offices regarding the standing of any work describing itself as Catholic, should they be in doubt. In summary the ‘House of Prayer’ has no Church approval and the work does not enjoy the confidence of the diocesan authorities. Copies of my public statements are available on tuamarchdiocese.org. Previous articleAddress given at the Diocesan Youth Council on 21st February, 2008.